The ERU/USD currency pair completed another ascending structure. We think today the price may start a correction towards this structure near the level of 1.2900. The whole movement looks like triangle pattern; the pair may start a correction and leave the pattern to reach the level of 1.3130 and then continue falling down towards the target at 1.2700. However, if the pair leaves the pattern downwards, the descending trend may continue and reach the level of 1.2130. 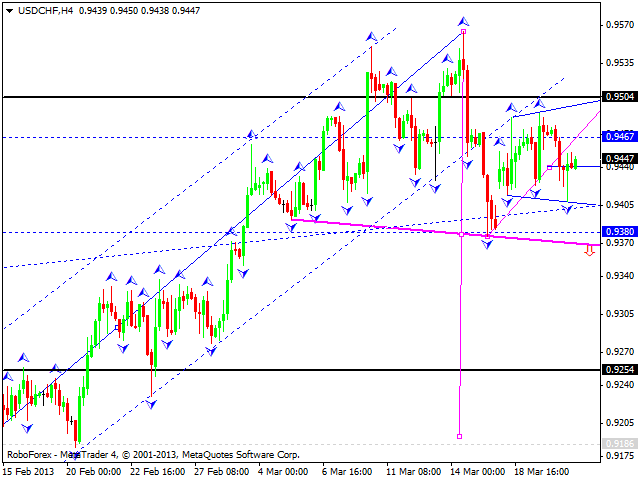 The GBP/USD currency pair couldn’t form a proper correction and start moving upwards. 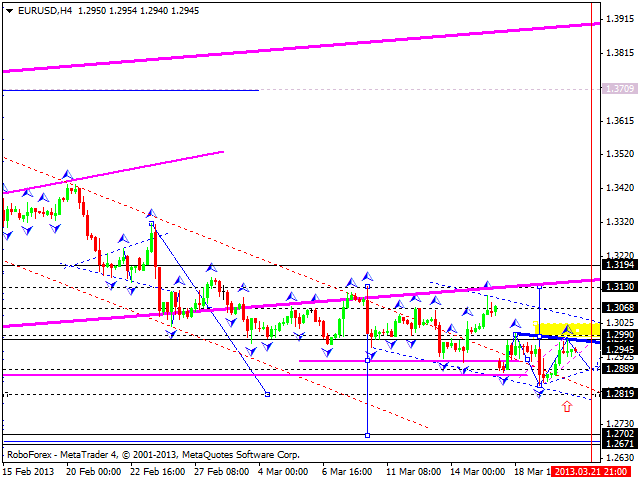 We think today the price may only fall down towards the target at 1.4960 and then start forming a new ascending wave. 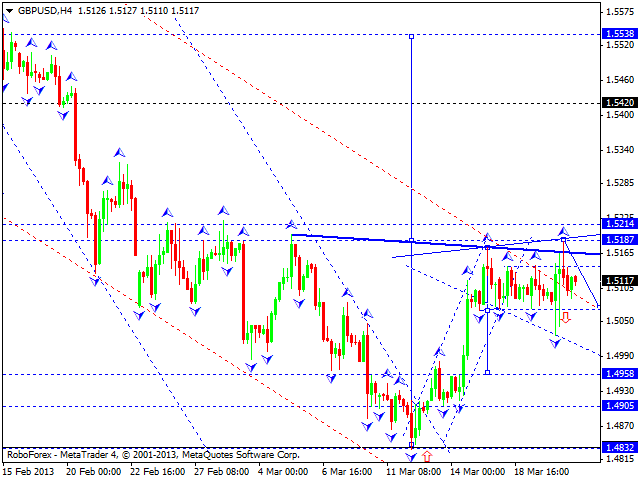 The first target is at the level of 1.5190. Later, in our opinion, the pair may consolidate near this level and then continue growing up to reach the level of 1.5400. The USD/CHF currency pair formed a correction towards the previous descending wave; however, this correction may continue. We think today the pair may try to start another ascending movement to reach the level of 0.9500, form a new descending structure to break the level of 0.9380, and then continue falling down. The target is at 0.9250. 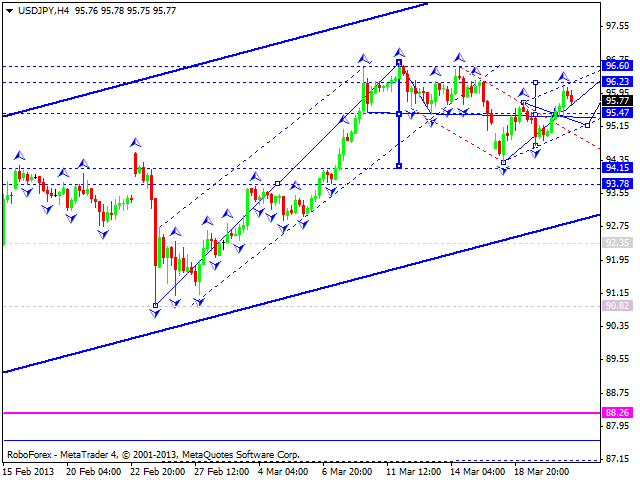 The USD/JPY currency pair is forming another ascending wave with the target at 96.25. We think today the price may fall down towards the level of 95.50 and then start forming another ascending structure to reach the target at 96.60. Later, in our opinion, the pair may consolidate near this level for a while and form a continuation pattern to reach the target at 99.90. 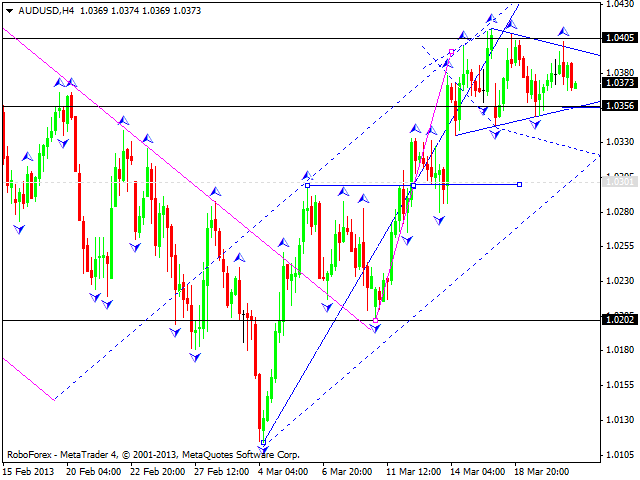 Australian Dollar is still moving near its local target; the price formed triangle pattern. 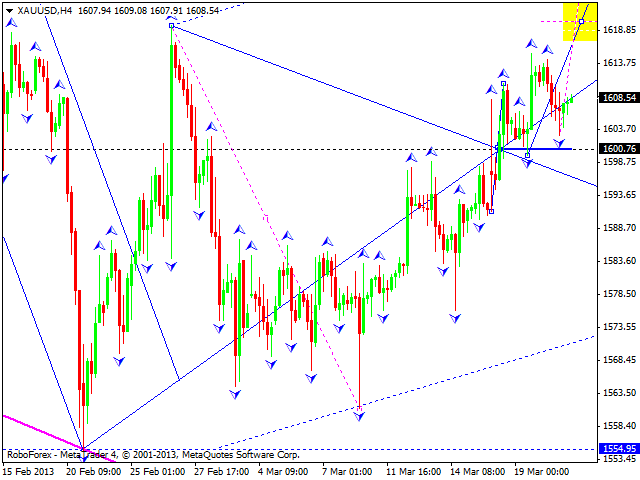 We think today the pair may start a correction, leave the pattern, and reach the target at 1.0300. However, if the pair leaves the pattern upwards, the price may only reach the level of 1.0480 and then start another descending movement to break the minimums of this ascending wave. Gold is still moving above the level of 1600, which means that it is going to continue growing up towards the target at 1640. We think that after reaching this target, the instrument may return to the level of 1600. Later, in our opinion, the price may start a new ascending wave to reach the level of 1646. This may be the end of this correction and the price may continue falling down towards the target at 1525.